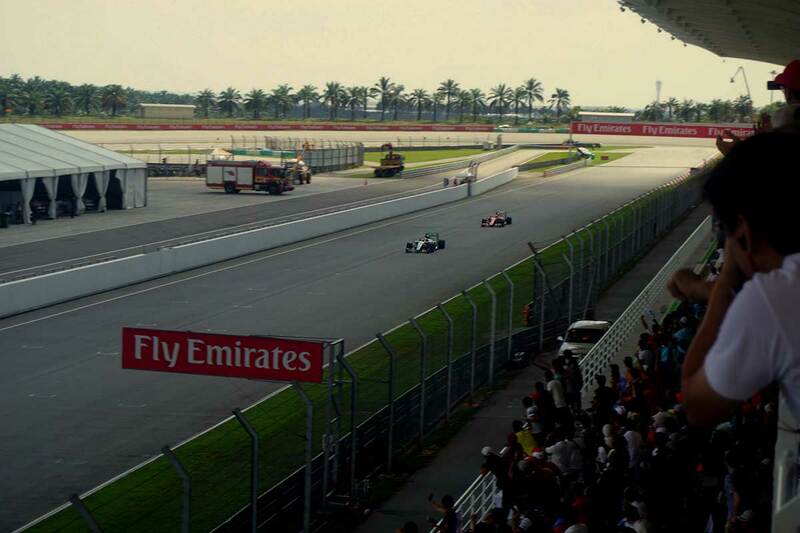 I don’t think it’s over stating it to say that Sepang affords some of the best views available at any F1 circuit. 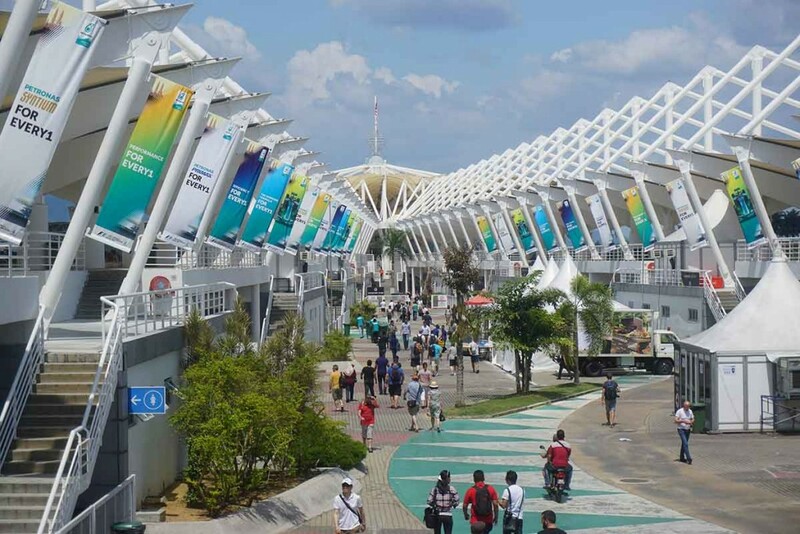 For anyone who has been to a Grand Prix and left feeling underwhelmed, watching cars flash passed and disappearing will find Sepang a breath of fresh air. I’ll review some of the best spots for watching F1 at the Malaysian Grand Prix. 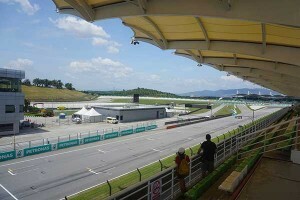 K1 Grandstand is located at turn one and provides generally very favourable views over much of turns 1, 2 and 3 as well as more distant views of other sections of the circuit. Divided into blocks from A starting at the right side to R on the left side of the stand. 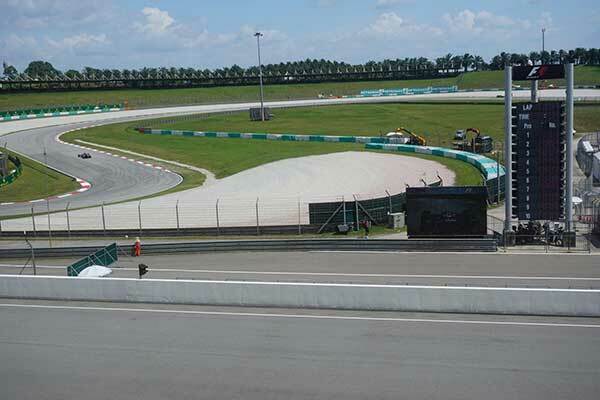 Seats to the left or right of the stand fair better, with the middle being limited to turn 1 and the entry of turn 2 but the downwards gradient of this part of the track and a thoughtlessly placed advertising board serve to block any more of turn 2. Turn 3 is then impeded by the end section of the grandstand. 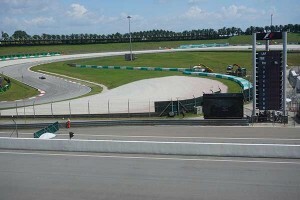 The right of the stand won’t disappoint, providing views of turn one immediately in front of the stand; a view up the start finish straight, including the grid and pitlane exit in the middle distance; and in the far distance, a view to the left of the short straight leading to turn 4, and to the right, a part of the race-track over the other side of the main grandstand toward the end of the lap can be seen albeit quite far away. The left side of the stand has a view that stretches all the way up the short straight to the turn in of turn 4, and about the best view of turns 1 to 3 on the whole, so you’ll get to see over takes and re-over takes play out between about the pitlane exit to T4. The grid is out of sight but who needs it with a view like that. 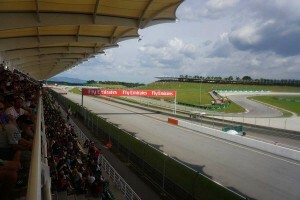 The Main Grandstand at Sepang is a gargantuan V-shaped stand divided into North and South, with the Tower stand at the point where the two grandstands meet. Both North and South stands are subdivided into an upper and lower tier and in the North stand both tiers are further divided into 4 sections. In the area between the stands, the Mall area contains most of the food and drinks vendors as well as the washrooms and makes for an enjoyable spot to while away the time between track sessions. Topaz Grandstand is the higher of the two levels of Main Grandstand South and as such benefits from a broader view of the latter section of the circuit and is high enough to be unobstructed by catch fencing, something which can’t be said for seats in the Citrine stand just below. As with so many vantage points at the Sepang circuit, Topaz is designed to give you a view of a section of track immediately in front of you as well as a more distant view. In this case it is the more distant view that is the more pleasing. Spectators in Topaz can follow the racing as the cars enter from the left of your field of vision, breaking into Berjaya Tioman Corner just in front of the hillstand. From here watch them accelerate up to and around a series of medium speed turns that make up the final sector of the lap, to the point where they join the long straight directly in front of the grandstand and continue to the hairpin, where overtakes are common. Part of the view of the distant outfield section is blocked by the garages of the support races. Even so, this is a vast expanse of track to see an F1 car on and a real privilege to behold. Once the checkered flag is waved, it’s a short sprint across the Mall to the North stand from where you can watch the podium celebrations or get access to the track. 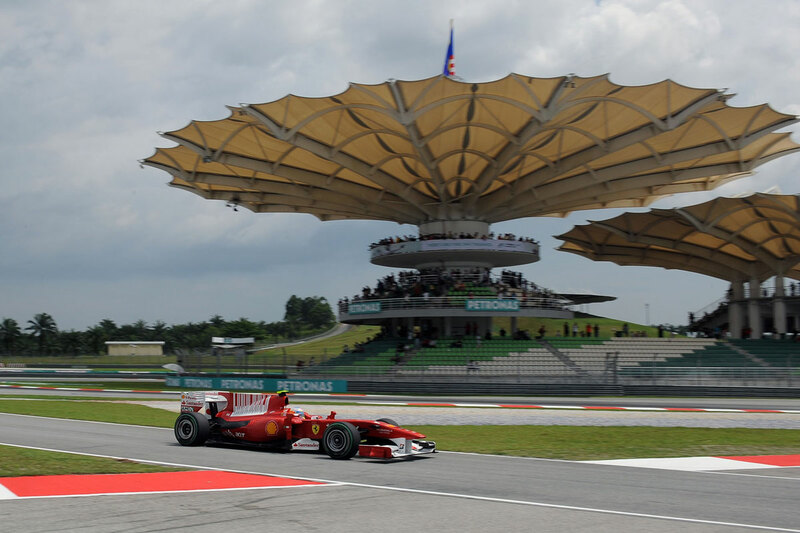 This is a popular grandstand and one of the best all rounders at Sepang. A good choice for fans wanting excellent viewing, proximity to the ‘Mall’ and a chance of a track invasion come the end of the race. Spectators in the Diamond and Crystal sections of the North Grandstand (in the centre) are in for the usual main grandstand spectacle. But fans to the left and right of this get a more rounded experience. To the left in the Sapphire and Turquoise stands you get a decent view of first sequence of turns but not anywhere near as good as from the K1 stand. Views of the pits and the grid are a little distant too and lack the intimacy of seats in Diamond and Crystal. Ruby and Garnet are positioned near the end of the lap where the pit building makes way for a view of a stretch of the infield section. It’s not a breathtaking view but makes for a more varied view than some parts of the stand. It’s also close to the lower end of the grid, pitlane entry, and opposite most of the big team’s garages. Where some stands provide you with one thing really well – be it a view of a large expanse of track, proximity to the action in the pitlane, or just value for money – these stands to either side of Diamond or Crystal can seem like a compromise on every level. This might suit some fans but leave others wanting more. Grandstand F: boring by name, anything but boring by nature, this area offers an exceptional view from the centre of the stand. It almost feels like you can see the entire circuit from this vantage point. You can’t of course but you can see a vast amount, as cars enter from the Genting Curve to the right of the grandstand and sweep in front of you and away from the stand towards the Berjaya Tioman Corner. Situated essentially on the outside of the hairpin, opposite the tower grandstand, from the centre stand you can easily see down the length of both the main and back straight either side of the main grandstands. To the sides of the grandstand the views lack the wow factor but are still wonderful views of fast sweeping sections of the track and either the entry or exit of the hairpin. Negatives are few and far between, but you will be a long way from the Mall area where most of the refreshments are found. On race day you’ll also have to miss out on the podium celebrations and track invasion, which are not easily accessed from here. 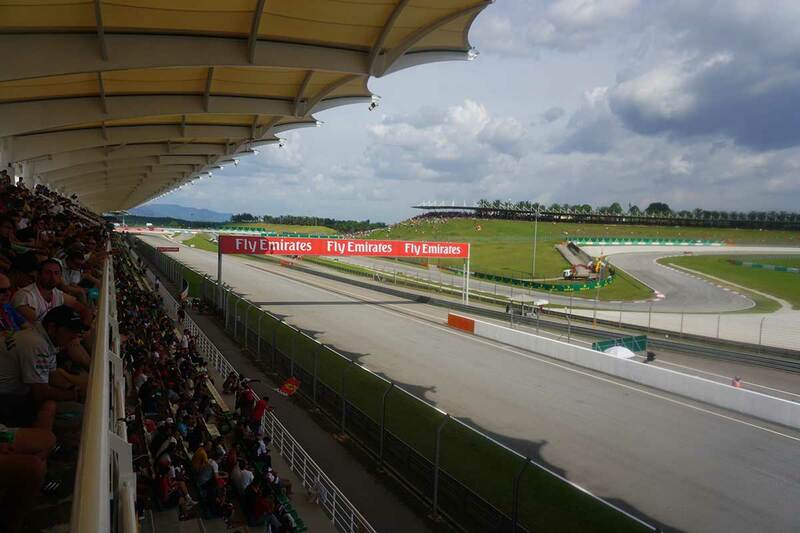 Whether you want to spectate on the race from here or not, this is certainly a view not to be missed and worthy of a little trek out to here on at least one day of your visit to Sepang. Modeled on the hibiscus flower the Tower Grandstand is an iconic grandstand at Sepang but unfortunately that doesn’t always translate into great views. It is arguably the best spot for good close up photographs of the cars as they slow right down for the hairpin; being at the apex and capturing some nice shots make the stand worth a visit. You can also observe the cars on a section of the infield of the track from here though it is by far not the best vantage point from which to do so. Overall not worth the ticket price for 3 days in this stand, but worth checking out if you get a chance during one of the Friday sessions. Once in danger of going out of fashion the post race track invasion is now a common bonus at most Grand Prix circuits and Sepang is no exception. 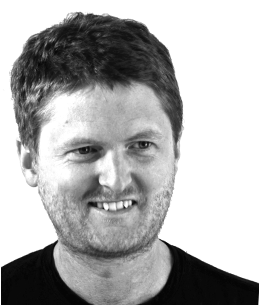 The easiest place to achieve this is really anywhere in the main grandstand, north or south. Access to the track is through gates along the main straight, opposite the podium. You’ll need to be somewhat nimble to do this – the gate is opened by track staff so this is not a problem but you’ll need to lower yourself down a 6 ft wall to be quick to reach this access point. Unfortunately it’s not possible to walk the circuit as the security rope it off but you can at least get a bit closer to the podium and see the cars in parc ferme.